You, Me and Movies: Review: Andy Muschietti's "IT" blends faithful adaptation and new vision in a terrifying cocktail. Review: Andy Muschietti's "IT" blends faithful adaptation and new vision in a terrifying cocktail. If there is one author that I can wholeheartedly thank for really pushing me to read novels, its Stephen King. The first time reading one of his books felt like I was coming-of-age, and not every author can take a genre and redefine it to fit their visions and styles. Not that this trend only exists in horror, King's "Rita Hayworth and the Shawkshank Redemption" and "The Body" (which became "Stand By Me") don't read like the typical stories. There is a type of language that King invented himself, and he's not afraid to push boundaries in any genre he picks to play in. Which has made his stories tricky to adapt onto screen. Believe me I know. I have seen dozens and dozens King movies and King mini-series and King television. Some were good, some were bad, most were mediocre. I think it just shows how difficult and elaborate King's texts are, and it takes someone incredibly passionate for his language who do the best in adapting his work. I grew up watching the 1990 "IT" mini-series. I saw the mini-series, read the book all within a summer and early fall season. I was the same age as the young Loser's Club when they first encountered Pennywise The Dancing Clown, so the story has stayed with me in a way few stories do. The 1990 mini-series still exists in the pantheon of nostalgia. Personally, it's okay. I sure found it frightening when I was younger and I think Tim Curry did exactly what he was hired to do as Pennywise. I don't think its held up well, and it doesn't come close to getting under my skin anymore, but for its time it was definitely okay. Its a tough story to adapt on ABC though. There has been a long road to getting "IT" on a big screen, let alone giving it an R-rating. Cary Fukunaga originally wrote a script and was set to direct the film, even going as far as casting Will Poulter as Pennywise. 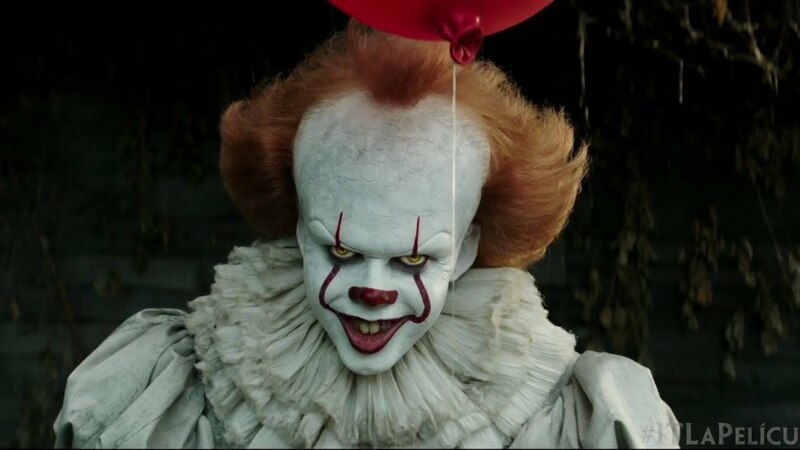 I read his legendary script and I would have definitely loved to see the psychological strangeness of his first season of "True Detective" to "IT." But relations fell through between Fukunaga and Warner Brothers, so his vision never came to fruition. Fukunaga still has a screenplay credit for the adaptation by Andy Muschietti that is getting released this weekend. Some of the scenes from his script were included in this new film. So...how is Andy Muschietti's film? Look, I am not going to play the "well, in the book King did this" game. Hell, I am not going to play the "in Fukunaga's script, he did this" game. I truly am not a stickler for adaptation details, as long as the essence of the story remains true. Which was the main thing that frustrated me most about "The Dark Tower." I can honestly say that Muschietti has captured the essence of Stephen King's novel with a powerful, frightening affect. Yes, Muschietti has updated things. The teenagers story no longer takes place in the 1950's, but the 1980's. Muschietti uses 1980's nostalgia to surpreme dosage and you can't help but smile at the background of the settings and the topics which The Losers Club discuss. "The Dark Tower" angered me because it felt like it was made by someone who merely read a Wikipedia page about The Dark Tower. "IT," throughout its updates and abysmal changes, feels like it was made by people who read the book, and I couldn't have asked for more. For those of you who never read the books or the saw the mini-series, "IT" is an epic horror novel about a fictional town called Derry that is haunted by a powerful entity that feeds on people. Its favorite way of stalking potential prey is morphing into Pennywise The Dancing Clown to lure children to him. A boy named Bill Denbrough lost his brother, and soon his six friends begin to experience the terror of Pennywise. So much so that they decide to ban together to destroy it once and for all. They don't know if Pennywise is truly defeated, so they promise to come back to Derry to defeat it again. Sure enough, 27 years later, they get together to fight it once more. This first film focuses entirely the Loser's Club as teenagers. We are introduced to Bill (Jaeden Lieberher), Beverly (Sophie Lillis), Richie (Finn Wolfhard), Eddie (Jack Dylan Gazer), Stanley (Wyatt Oleff) and Mike (Chosen Jacobs), all of whom share a bond of being stalked by the evil Pennywise (Bill Skarsgaard). King's book has always been more than just a horror story about a killer clown. It was a coming-of-age story for these kids. This event affected their lives, and they become adults merging out of the sewers after their last encounter with Pennywise. That's important to the story, and Muschietti has mastered it completely. Watching this group of kids interact together will make you cry at moments, laugh at moments, cheer at moments and you will just love just watching these kids spend time together. Also, when Pennywise attacks, we feel the stakes because we care about these kids. Each actor does incredible work, etching in the quirks and mannerisms of each kid without it coming off hammy. Each of these kids could have a very great career ahead of them if acting is what they choose to do. So let's talk about Pennywise for a moment. Because after all, if Pennywise doesn't work, then the whole story falls apart. The best thing Skarsgaard did as a performer is completely make us forget about Tim Curry, just as Heath Ledger completely made us forget about Jack Nicholson when rebooting The Joker. When Skarsgaard is sitting in the sewer drain talking to Bill's brother Georgie, its killer stuff. Skarsgaard has completely redone Pennywise and he creates something long-lasting with the character. I love that, because its difficult to do. Pennywise is supposed to a menacing, disturbing character, a killer that keeps coming and coming. But he's got a personality like Freddy Kruger and Chucky the doll, blending those two traits together can sometimes turn into cheesiness. But I think Skarsgaard strikes a near-perfect balance, finding the right moments to unleash each trait. That's also important discussing the scares of the movie. Most of the scares in the film feel like they were created in a Blumhouse factory, and one thing I do really wish we got in this adaptation was more psychological terror. There are lots of scares in this movie that are meant to be "boo-scares" and while I will admit that some definitely landed, this was story that affected the mind and I wish we saw more of that. There is also an 80's movie vibe that stretches across some of the scares, and I got a kick out of that. "IT" is a long movie, which didn't surprise me nor bother me. The book itself is a little over 1,100 pages. It truly is an epic horror story. While the movie runs nearly two and a half hours, it still feels like something that is in fast-forward. Mike becoming good friends with the other Losers, the bully Henry Bowers personality shifts throughout the movie, Beverly's family...it all feels bulldozed through to keep the story going. It doesn't make the movie bad, just entire scenes and even characters don't feel like they have time to breathe. But overall, the film still flows really well, there are just some story and character beats that feel like they happen off camera, instead of things we actually see play out. The bottom line is this, Stephen King adaptations are tricky, very tricky. That is why so few of them have actually worked. Muschietti gets so much right in this adaptation that I can help but recommend the movie. I think its worth a look, and I haven't said that about a Stephen King movie in quite some time, so it feels good to say. There are so many things that I want to say, so many details I want to discuss at length. I definitely want to return for a long overdue Further Inspection article a few weeks from now once you all have had a chance to see it, because there is SO much to discuss here. The thing is, the movie works, Muschietti nailed the important things and while some things get changed from the book, the essence of the story is intact. For once, I am absolutely rabid about a sequel. I can't wait to see the Losers Club again, all grown up, to face off against Pennywise once more.